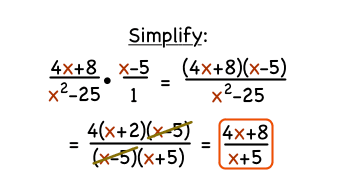 To multiply a rational expression by a polynomial, just turn that polynomial into a fraction, multiply, and simplify to get your answer! This tutorial shows you that process step-by-step! How Do You Divide a Rational Expression by a Polynomial? Dividing a rational expression by a polynomial is easier than you might think! Follow along as this tutorial takes you through that process step-by-step!